Why should you choose A1A Airport Transportation over the others? When you choose A1A Airport Transportation, you can rest assure that you will have a pleasant, stress-free and comfortable ride to your destination. 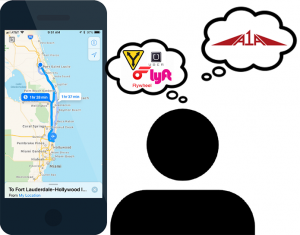 While ride sharing apps such as Uber appear to be convenient, there are things one must consider prior to ordering a ride. • Consistency: When you order an Uber, you don’t know what type of vehicle will pick you up. It could be a compact sedan, making for an uncomfortable ride, especially if you have multiple passengers. With A1A, you will always have a clean Lincoln Town Car transport you where you need to go. 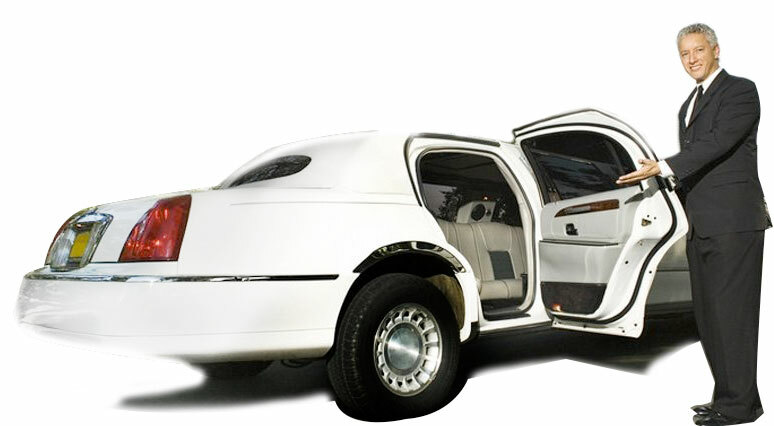 Town Cars are known for a smooth, comfortable and spacious ride. • Professionalism: A1A prides itself on excellent customer service. It’s comforting to know that you will be picked up by a friendly and familiar driver. He will make sure to load your luggage into your vehicle and ensure a safe and comfortable drive to your destination. • Rates: Uber rates vary depending on demand. Additionally, when you order an Uber you only receive an estimated cost for your ride. With A1A, our rates are constant so there are no surprises when it comes to the price of your ride. • Safety: Our primary concern is the safety of our passengers. You will always know who will pick you up and that your driver will obey all laws. A1A is a livery service, meaning we must abide by specific insurance guidelines set by the state. When a passenger gets into a car arranged by a ride-sharing app, he or she automatically agrees to the terms and conditions of said app. If the driver gets into an accident and the passenger is hurt, there is no guarantee that the driver’s insurance company or the ride-sharing services will pay for damages. Use our airport shuttle to arrive and depart major Florida airports without the hassle that comes with other car services. On business or pleasure, you can travel the Florida Intracoastal in style with one of our luxury town cars. Let us worry about airport traffic. Learn more about our shuttle service. Skip the traffic with airport transportation and save money. Ride in a clean and comfortable vehicle in style to and from the airport no matter if you are solo or with a group. Since 1989, A1A Airport Transportation has been providing Florida residents with luxury rides throughout Florida's Treasure Coast as well as to and from the airport. We pride ourselves on owning a business that puts clients and customers first, getting people where they need to go in comfort with as little stress as possible.